Disclaimer: This post may include affiliate and/or referral links. It may also include items received for review in exchange or my honest unbiased opinion. All reviews and opinions are 100% my own and unbiased. 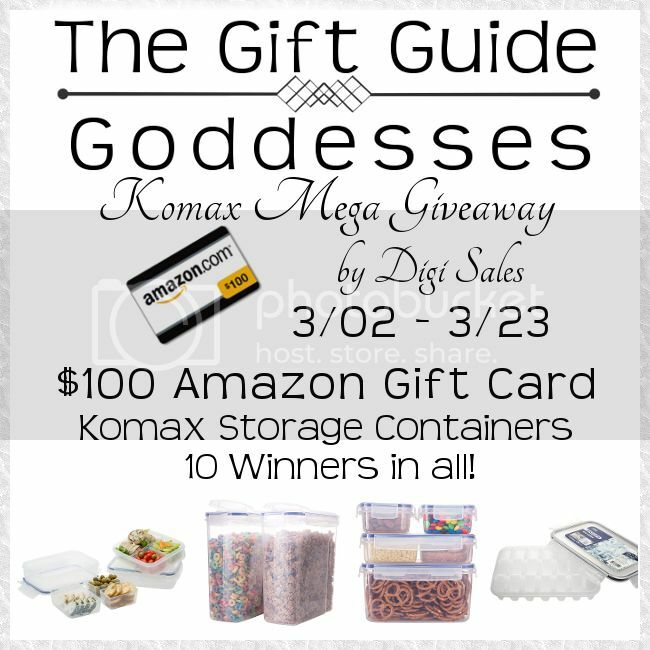 $100 Amazon Gift Card + Komax Food Storage Containers 10 Winners In All! Welcome to the Gift Guide Goddesses' Komax Biokips Mega Giveaway sponsored by Digi Sales.! We are very excited to bring you this awesome giveaway featuring a $100 Amazon Gift Card and Komax Biokips Food Storage Containers. Komax Biokips Storage Containers are BPA-Free and are 100% airtight and watertight, which means you can store your food and it won't leak, and your food will stay fresh longer. Komax Biokips Storage Containers are also safe to store in the freezer and the fridge and are safe to microwave and place in the dish washer. One winner will win a $100 Amazon Gift Card and 9 winners will each win one of each of the four sets of storage containers featured on our site. The cereal storage containers can either by bought as a single item or in a set of two. You can read about them below, check them out on Amazon, and even read what we have to say about Komaz Biokips' Storage Containers by reading our reviews and watching our videos! Komax Biokips Lunch Boxes sold by Digi Sales. are excellent for storing food at home, taking lunch to school or work, and even when camping and traveling! It comes in a set of three and each box contains three removable trays. You can check out what Tre from NonPerfect Parenting has to say about this set by reading her review here. Komax Biokips Cereal Containers are perfect for storing not only cereal, but chips and other snacks, as well as sugar, flour, and other such items! You can check out what Jessica from Stylish Momme has to say about this set by reading her review here. Komax Biokips Food Storage Containers come in sets of 5, 7, and 9. The small food containers are great for storing baby food, yogurt, applesauce, and small snacks for on the go. You can check out what Jessica from Stylish Momme has to say about this set by reading her review here. Komax Biokips Ice Cube Tray with a No Spill Lid is an excellent choice to keep your floors and freezer mess-free, plus, Komax Biokips' Ice Tray's are stackable, making for easy organization! You can check out what Tre from NonPerfect Parenting has to say about this set by reading her review here. To enter for your chance to win a $100 Amazon Gift Card or Komax Biokips Storage Containers, enter with the Giveaway Tool below. This giveaway will run from March 2 1PM CST through March 23, 2015 at 11:59 PM CST and is open to US and Canadian residents, ages 18 and older. After the first mandatory entry, all entries are optional. Winning entries will be verified. Winners will be notified via email so be sure to add info@giftguidegoddesses.com to your contact list so if you win, our e-mail won't end up in your spam box. The winner will have 48 hours to respond and claim prize or another winner will be selected. You may use only one Twitter account to enter. 1 winner will win a $100 Amazon Gift Card and 9 winners will receive a prize pack containing Komax Biokips Cereal Containers, Ice Cube Tray, 5pc Storage Container Set, and Lunch Boxes. All participating blogs are not responsible for prize fulfillment. 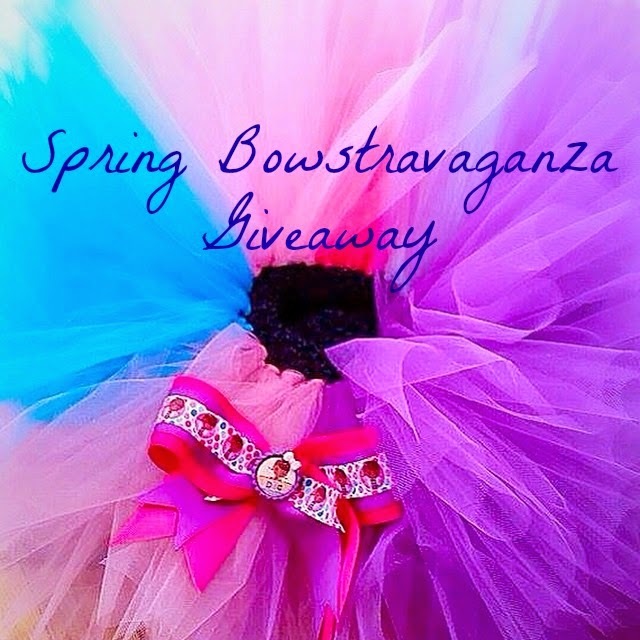 This giveaway is not associated with Facebook, Twitter, Pinterest, or any other social media.